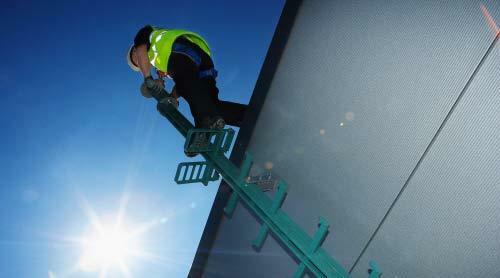 GlideLoc Fall Protection ladders provide a safe and controlled means of vertical access whilst working at height. 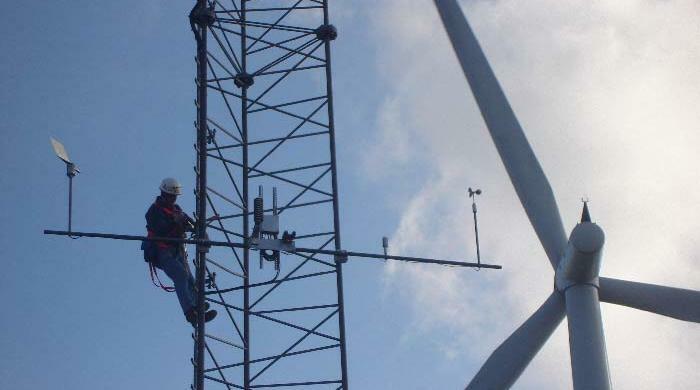 The GlideLoc system is used throughout the world in industries such as Utilities, Telecommunications, Construction, Steeplejacks, Wind Energy and Building Maintenance. 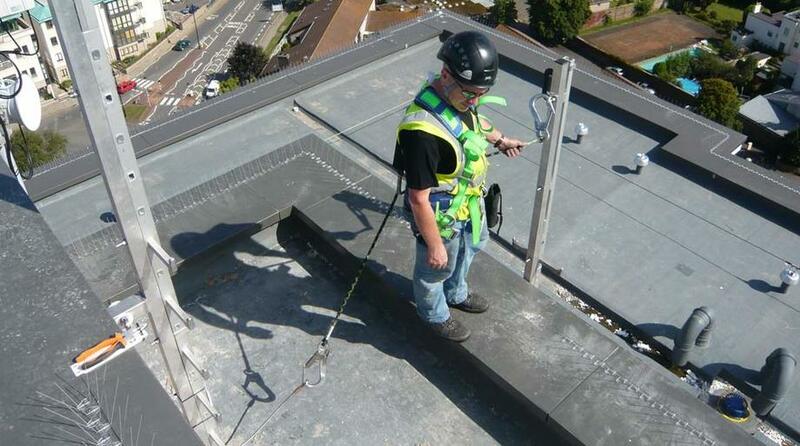 The fall protection Guide Rail forms a unique central spine to which the rungs connect. This system is best suited to an industrial environment. More like a conventional ladder but with a central fall arrest rail. 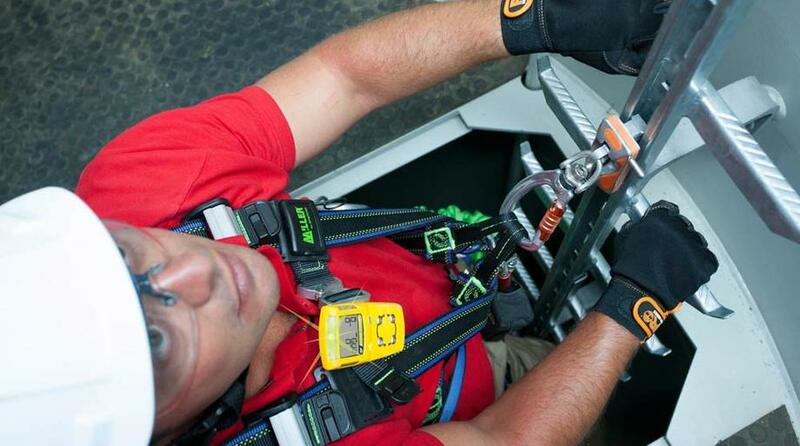 With both GlideLoc Ladder System a shock absorbing travelling device called the Body Control I runs along the track and provides the link between the user’s harness and the system. With a very slight outward pull as the user climbs or descends, smooth passage is assured. In the event of a fall the Comfort Traveller physically locks onto the track preventing and further decent and minimising injury. As the locking of the Traveller does not rely on friction, as is the case with some rail and cable systems, the user is given complete confidence and wear of the track is minimal. Our systems can be adapted to suit any situation fixing to steel, brickwork or even through cladding. 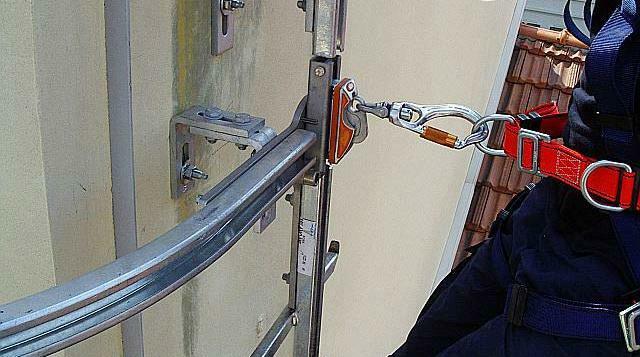 This allows the user to be stood on the top rung of the ladder while still being connected to the fall arrest rail. This also includes an EN 795 tested eyebolt allow the user continuous connection. This works similarly to the 1m top extension allowing the user to stand on the top rung. The top 350mm of the Rotary Top Exit Section rotates with the user as they step on to the roof top. This is similar to the 1m top extension but instead of extending vertically the fall arrest rail bends on to the roof top. As the user steps on to the roof his traveller follows the Guide Rail, resulting in continuous connection until the user is a safe distance away from the fall risk. Ideal for those who have shafts and manholes. 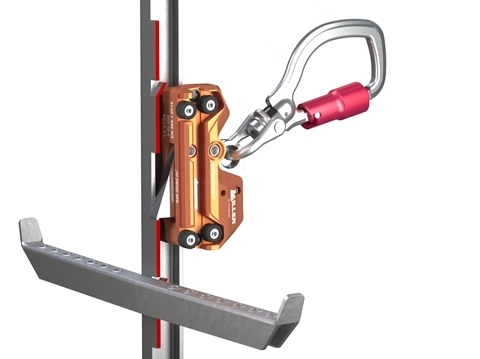 This allows the user to connect to the fall arrest system before climbing down into the shaft. This can also be used for exiting through a roof light. Aluminium GlideLoc Product Catalogue - technical catalogue including dimensions, materials and features. Steel GlideLoc Product Catalogue - technical catalogue including dimensions, materials and features. Aluminium GlideLoc Installation Instructions - For details of how the Yspar and Twin Aluminium GlideLoc ladder System should be installed. Steel GlideLoc Installation Instructions - For details of how the Yspar and Twin Steel GlideLoc ladder System should be installed.